Is it part of the human experience to take a bite of something really delicious, and then continue to eat until satiated, but not yet satisfied. So after exactly 3 minutes, you return to the dish for another little forkful, and again, a minute later, and so on until– oops!– you have nothing left to feed your family? Or is this experience unique only to me? A little hyperbolic, I suppose, but a handful of foods trigger some kind of no-chill switch within me. One second I’m standing over a plate of bacon saying, “great! We have three strips left! I can pack my oldest child a BLT for lunch tomorr–” aaand the next second it’s gone. 1) Bacon. I will straight-up Ron Swanson all of the bacon. 2) This Lärabar spread. And of course Nutella. 3) Pasta, but more specifically, homemade pasta, and even more specifically, homemade gnocchi. 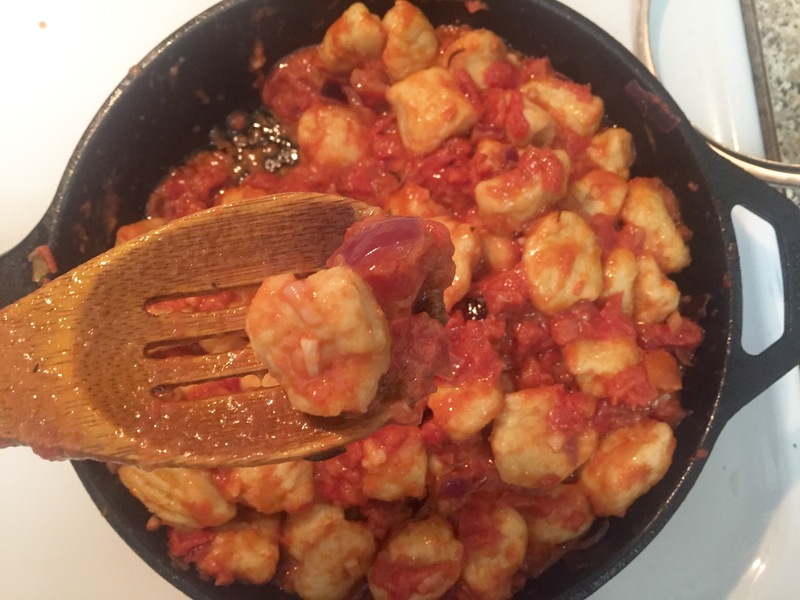 Over the weekend, I tried this recipe for the first time and learned that gnocchi can be downright naughty. 4) Cake. Particularly that of the “funnel” variety. 5) Falafel. Not bad, right? Till you’re 15 deep. Serves: …I’m going to say 4. But food enthusiasts–I believe in you. 1 package corn tortillas (about 24), quartered with a pizza cutter. Coconut oil cooking spray, olive oil cooking spray, or just olive oil. Additional toppings: beans, jalapeño, queso, corn, literally whatever you want, pickled vegetables even! Preheat the oven to 350° and arrange tortilla quarters in an even layer over a parchment-lined baking sheet. Spray them with cooking spray. Salt them lightly. Bake them for 15 minutes or until tan and crunchy. Heat a skillet over medium heat and brown ground beef. 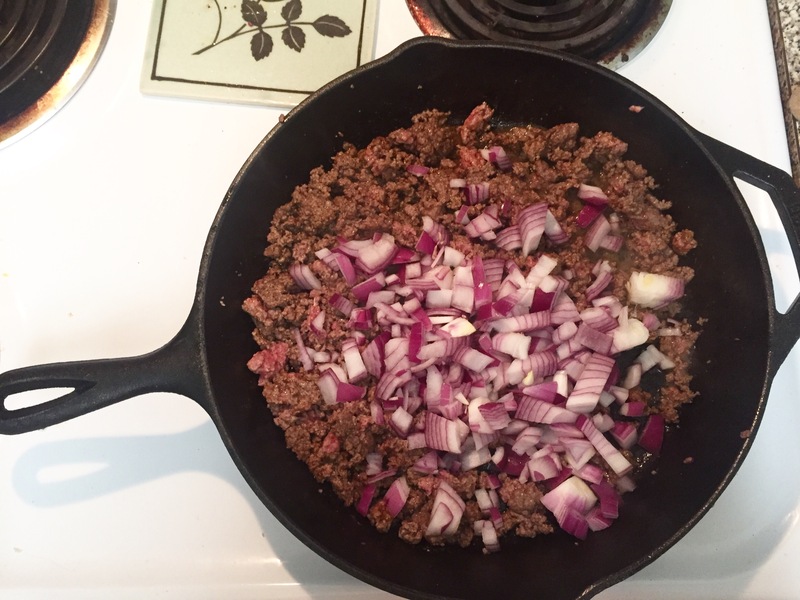 Drain, then add beef back to skillet with cumin, chili powder, salt and pepper to taste, and onion. Stir around until onion is semi-softened. 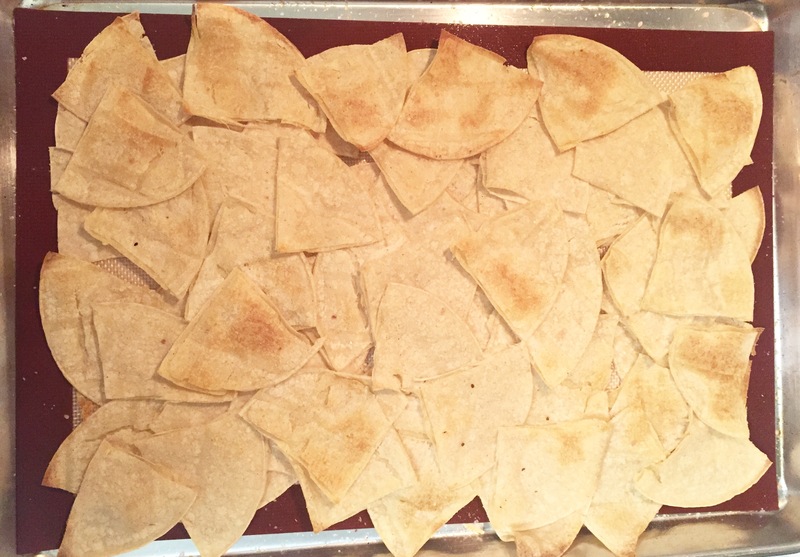 When the chips are finished baking, remove the baking sheet from the oven and spread the beef and onion mixture evenly overtop. Top with a layer of cheddar, then a layer of salsa. 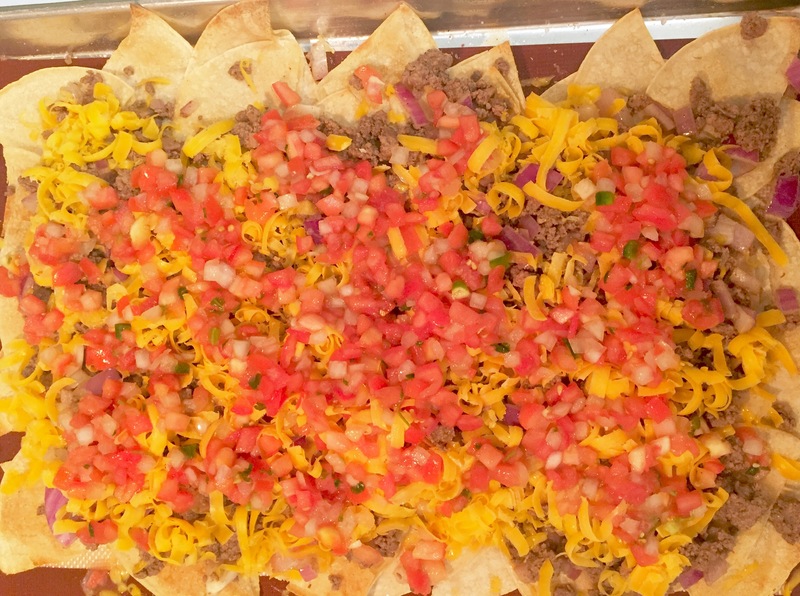 Bake nachos for an additional 15 minutes until all of the layers are heated through and the cheese is all nice and bubbly. Allow nachos to cool slightly, then dish them out and top them with lettuce, avocado chunks, dollops of yogurt, and any additional toppings you like.